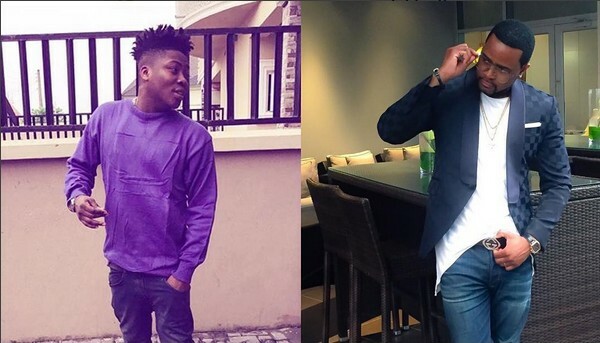 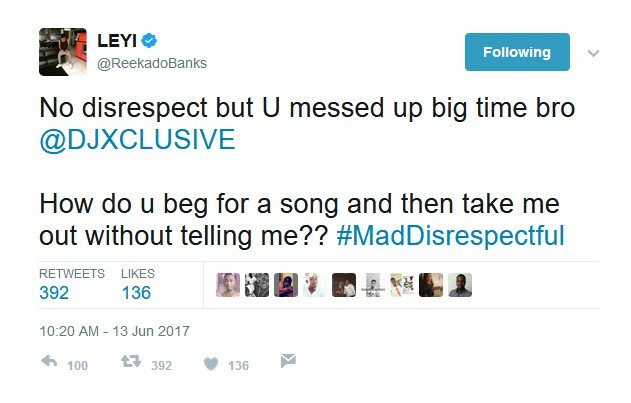 Mavin Act, Reekado Banks is not happy with DJ Xclusive at the moment. 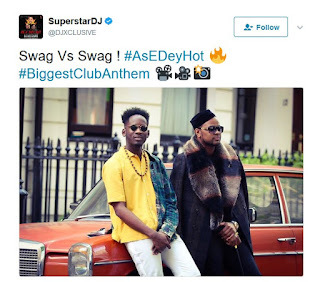 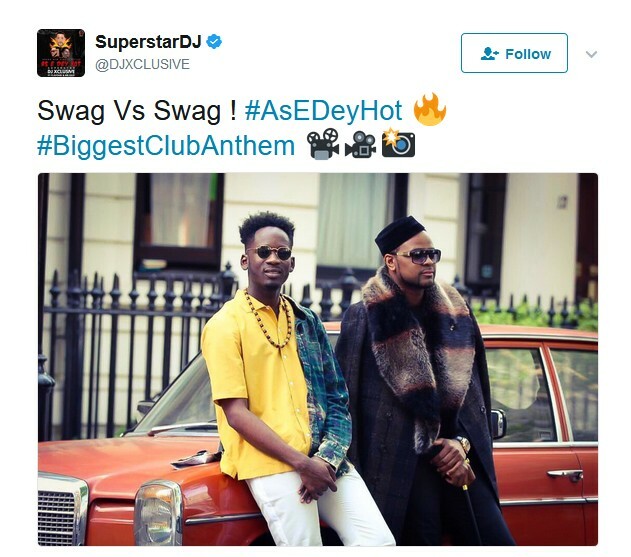 The problem here seems to be that DJ Xclusive recorded a song with Reekado Banks only to take his part out, as Mr Eazi and Flavour made the cut for the new single "As e dey hot". 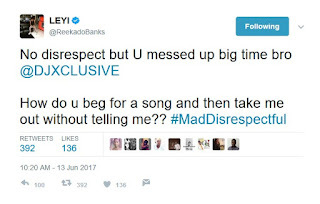 This didn't go down with Reekado Banks, who says DJ Xclusive begged him for the song and should have notified him when he felt like taking him out.